Wisconsin is the birthplace of Frank Lloyd Wright, who is arguably America’s greatest architect. On this ultimate architectural pilgrimage, we will visit Wright sites to gain insight on his life, legacy, and greatest creations while also enjoying a taste of the Dairy State’s famous Midwest hospitality. Also, we will sample some of Wisconsin’s rich agriculture heritage and products. Sit back and relax as we head to our overnight lodging in Maumee, OH. This evening, dinner is included at a local restaurant. After continental breakfast, we will depart for Wisconsin. 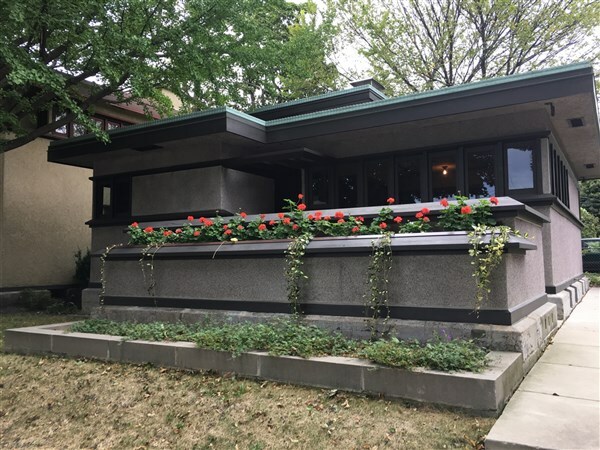 This afternoon we will visit Frank Lloyd Wright's designed Laurent House, the only building that he created specifically for a client with a physical disability. Its design was decades ahead of the American Disabilities Act (ADA) accessibility guidelines. Later on, we will check-in to our lodging for the next three nights in Middleton, WI. Dinner will be on you own this evening at Greenfield Station. Following breakfast, we will depart for a tour of AD German Warehouse. 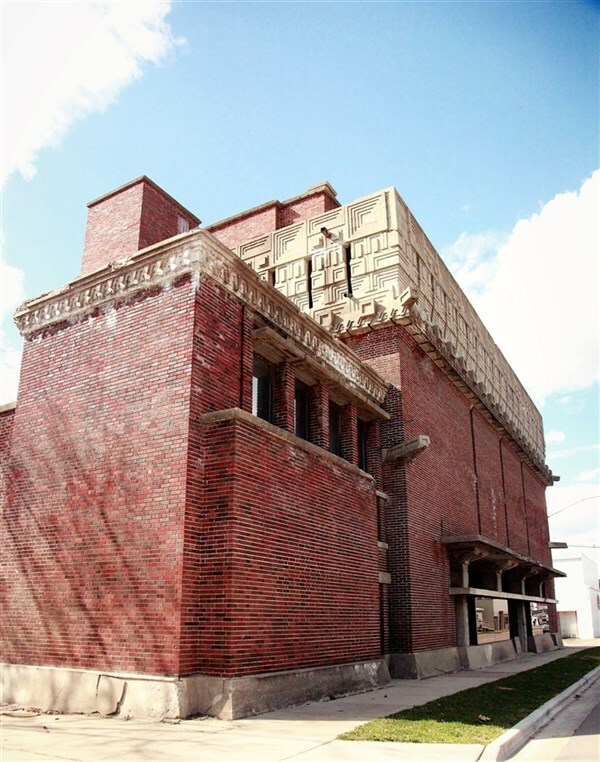 Frank Lloyd Wright designed this commercial building in his boyhood hometown. The building was built for a local wholesaler, Albert Dell German used to store sugar, flour, coffee, tobacco and other staples. Our next stop will be Taliesin, Frank Lloyd Wright's home as well as the 800-acre architectural campus that includes buildings from nearly every decade of his career. Before starting our tour, we will have an included box lunch in the café. The tour will include the Assembly Hall, Drafting Studio, Romeo & Juliet Windmill, Hillside Theater and of course, the house, gardens and courtyard. Dinner this evening will be at Cress Spring Pizza Farm where they use ancient, traditional methods to create whole grain, wood fired, naturally leavened, brick-oven baked pizzas using organic, locally sourced ingredients. After breakfast, we will depart for a tour of the Unitarian Meeting House in Madison. The First Unitarian Society of Madison commissioned this sprawling suburban church in 1946 and participated in its construction. As a means of reducing costs, Society members hauled tons of stone for the thick walls from a nearby quarry and later helped construct furnishings and finish the interior. For lunch today, we will experience the food of Madison on Madison Eats Food Tour. The food tour includes a State Capitol Tour and a stop at Fromagination, which is a fantastic specialty cheese shop. Afterwards we will tour Monona Terrace to experience the historic architecture inspired by Frank Lloyd Wright and the breathtaking views of Lake Monona. Then, we will tour Olbrich Botanical Gardens which features 16 acres of outdoor display gardens showcasing the beauty of Midwest hardy plants in a setting of prairie-style architecture. 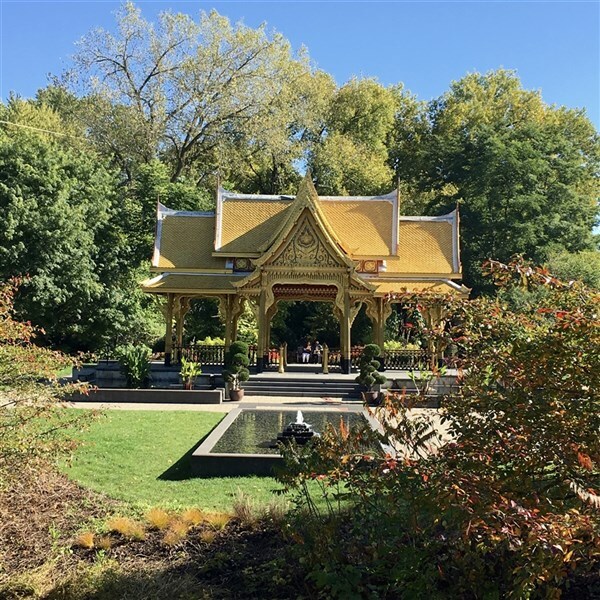 Olbrich's Thai Pavilion and Garden, the only one in the continental United States, features an innovative tropical garden in the Midwest. Dinner this evening will be aboard Betty Lou Cruises. Then, we see views of Madison's skylines and scenic natural shoreline from Lake Mendota. This morning after breakfast we will depart for Serenity Farm, which is a working farm on 126 acres. Here you will experience the importance of the farm, not only in what it can produce, but how essential it is to be connected to the land. Lunch will be on your own at Culver's followed by a tour of Oakbrook-Esser Glass Studio. This studio has been the creator of the highest quality architectural stained and leaded glass art for over a century. Next, we will tour the Annunciation Greek Orthodox Church in Milwaukee designed by Frank Lloyd Wright. The American System-Built Homes were modest houses designed by Frank Lloyd Wright and developed between 1912 and 1916. We will tour one of these homes. Dinner this evening will be at Braise before heading to our lodging in Brookfield, WI. After breakfast, this morning, we will depart for Fremont, OH, our lodging for this evening. You will have some time to freshen up before attending a Magic Dinner Theater. Following breakfast, we will depart for home from our mid-west adventure. Arrival will be later this afternoon in Pennsburg.